This post marks a big first—the cake recipe was passed on to me by my very special Grandmother-in-law, who was nick-named “Grandma Shots” by my husband. (We’ll leave the story of how that name came to be for another time 😉 ) Grandma loved this cake and told me I should learn to make it because it’s simple, quick and turns out great every time. She was so right. 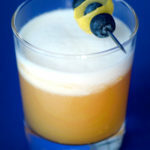 This is the first of her recipes I will share. Her recipe was in metric, and she told me that it was commonly known back home as the “350 cake” because the main ingredients (butter, flour, sugar) were all at equal amounts of 350 g. The cake is baked on a sheet pan, it is iced with simple lemon icing, and you cut it into squares. Whether you want a snack to take to work, something kids would enjoy or a sophisticated dessert to serve company, this cake does the trick nicely. 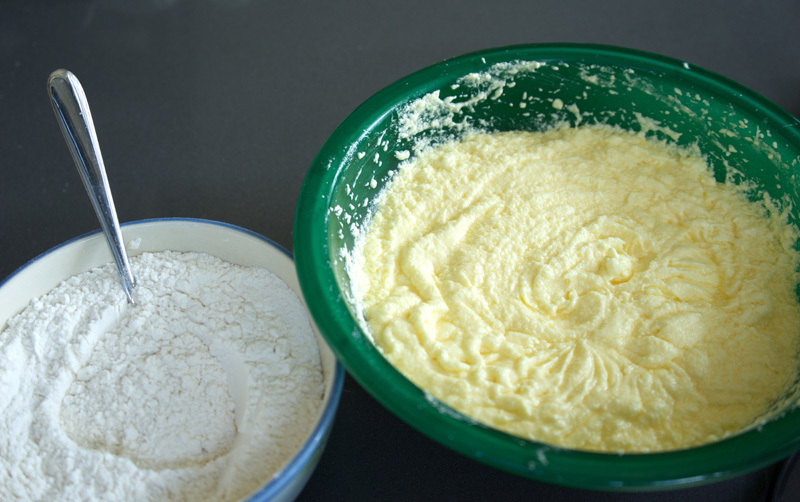 The batter looks slightly curdle-y once all the eggs and sugar have blended in, but it smoothes out once you add the flour, for a very light batter. Spread the batter evenly over the baking sheet. It doesn’t come up very high in the pan, but it rises up quite a bit while in the oven. 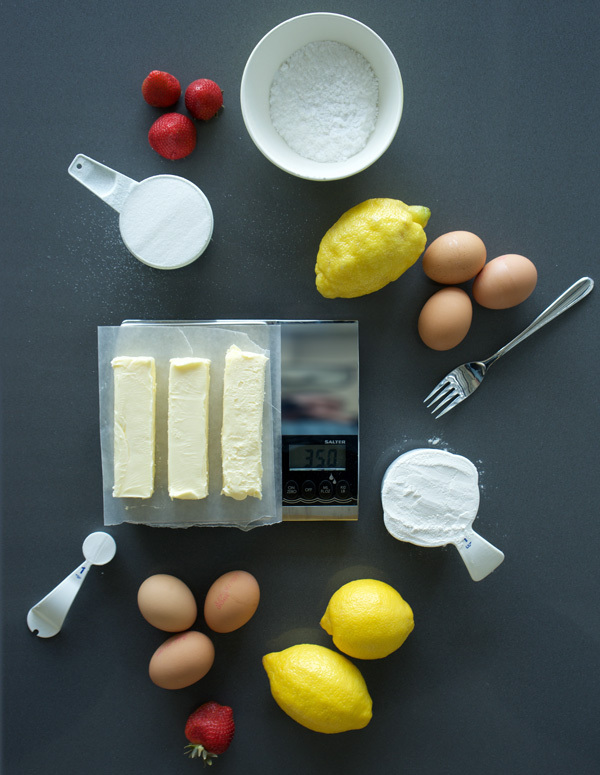 While that’s baking, you can whip up the icing, it couldn’t be more simple: lemon juice and icing sugar. 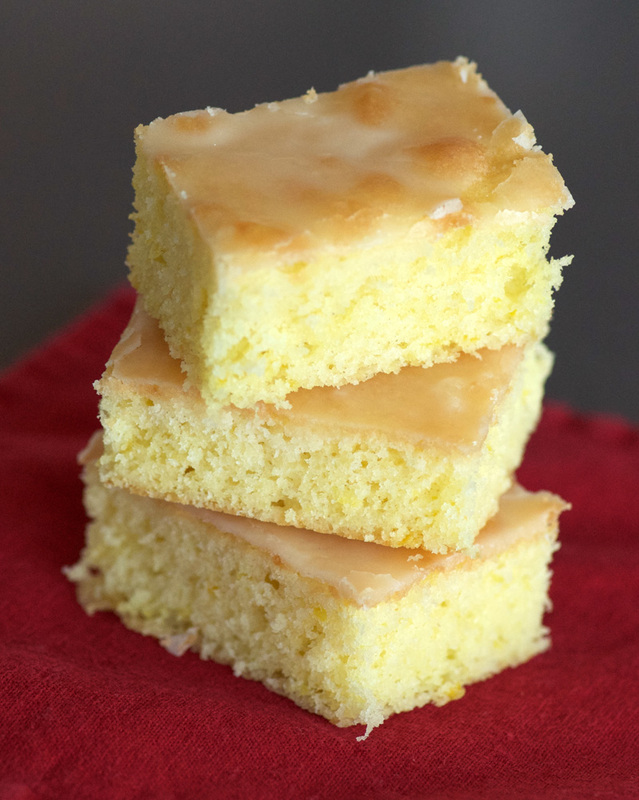 It makes for a very thin, tangy glaze that adds a tart layer of sweetness to the top of the cake squares. The finished squares are great cut right out of the pan. 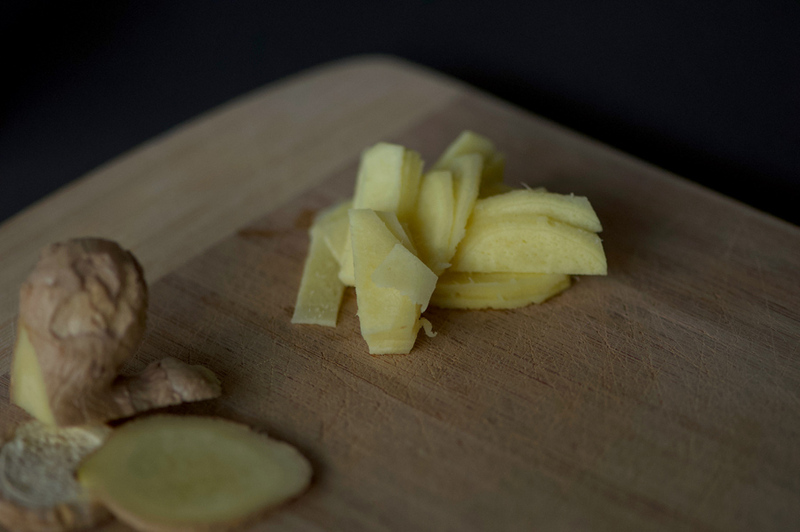 But if you wanted to turn this into an elevated dessert, read on. A basil strawberry compote adds flavour dimension and plays well off of the lemon in the cake. It’s really easy to make—just combine a simple basil syrup with freshly cut strawberries, and roast in the oven to bring out extra depth from the strawberries. 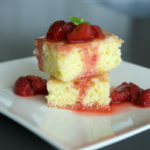 To serve, stack the squares and top with the strawberry basil compote, letting the juices run over the sides of the cake, soaking into the bottom layer. So good, you’ll want to lick the plate after! A great basic cake, easily remembered by those using metric for baking based on the key ingredients: 350 g sugar, 350 g butter, 350 g flour. 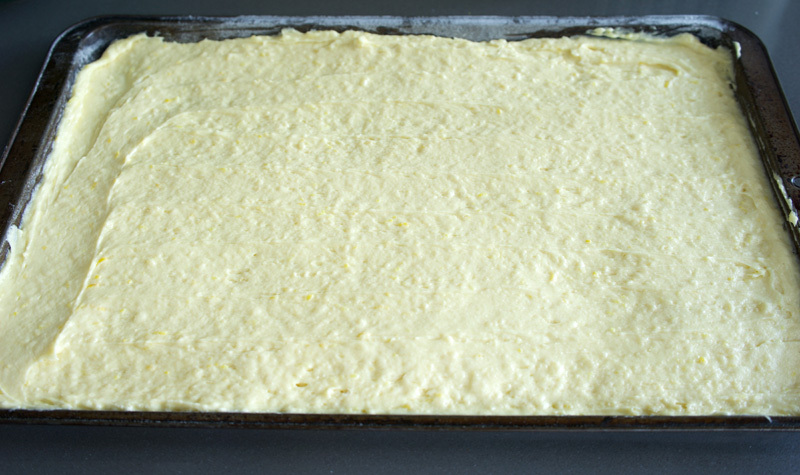 Lightly butter and flour an 11 x 17" baking sheet. Preheat oven to 350°. 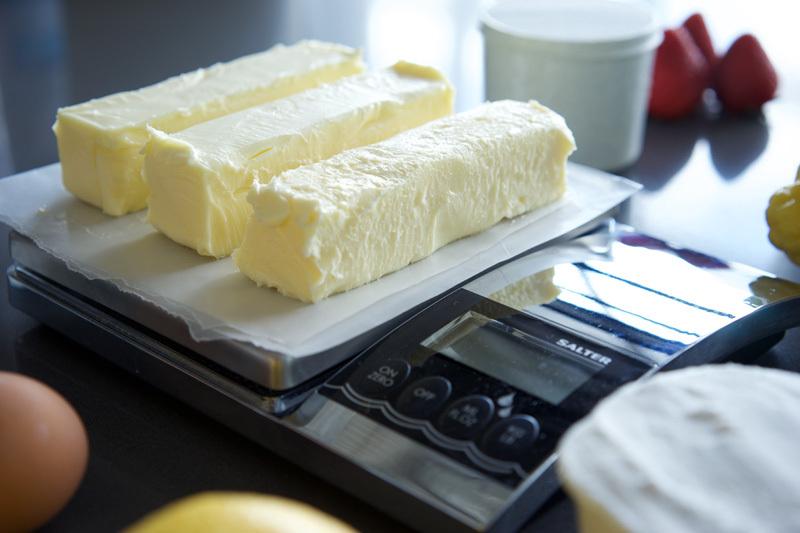 Using a hand mixer, beat butter until lightened in colour. 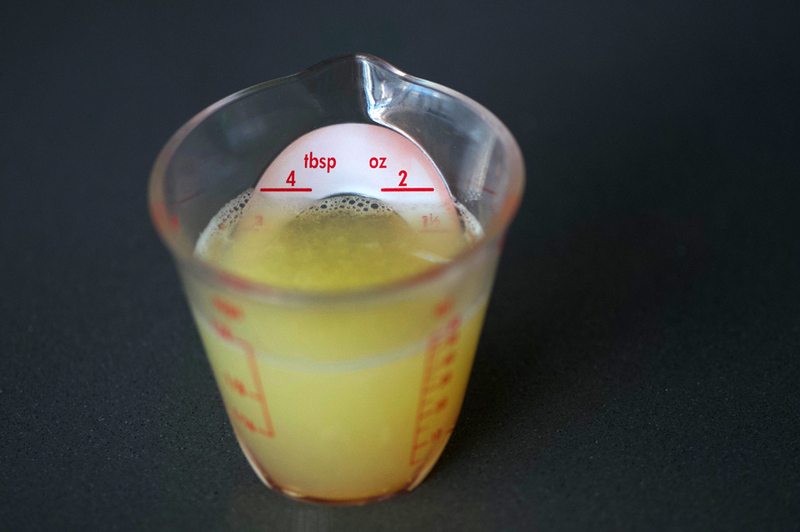 Add eggs one at a time, alternating with sugar. 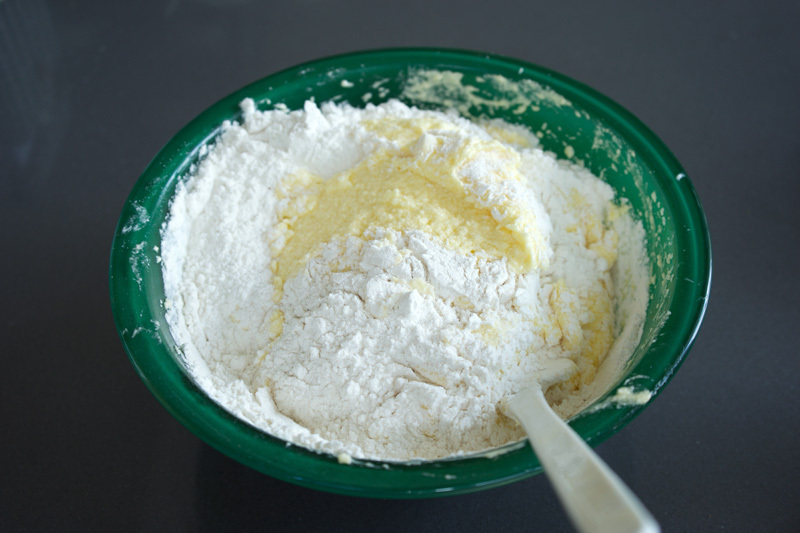 Combine flour and baking powder, gently mixing in by hand. 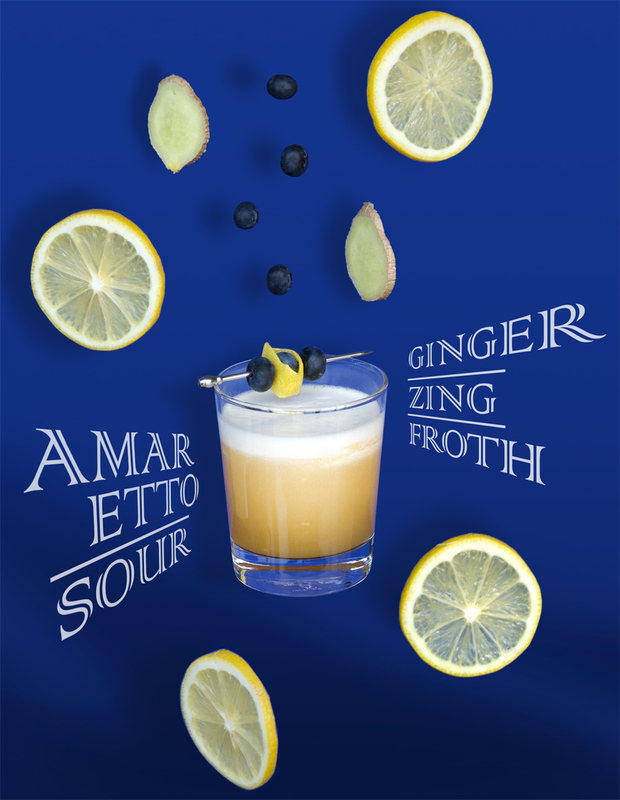 Add lemon zest. Spread onto prepared baking sheet. Bake at 350° for 25 minutes, until top is golden and a toothpick inserted in the centre comes out clean. Allow to cool. 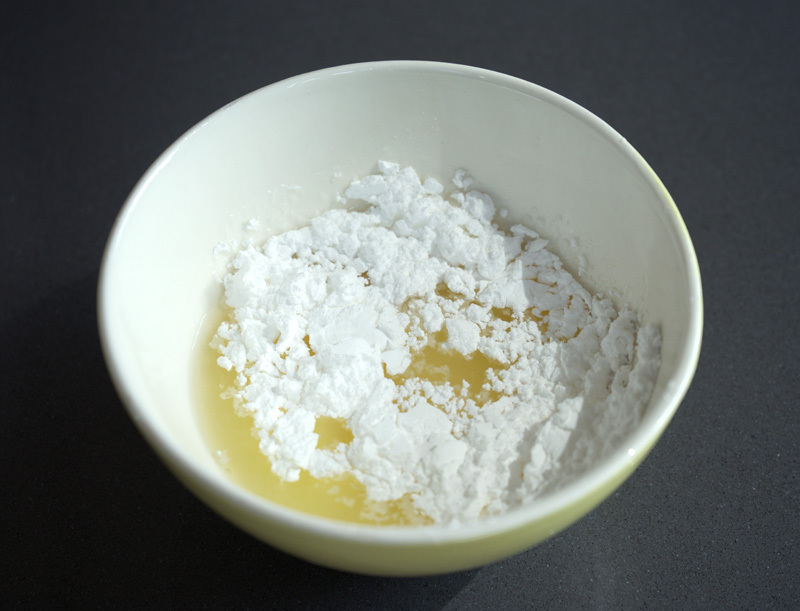 Make lemon icing: combine icing sugar with lemon juice, stir to combine well pressing out any lumps. Spread evenly over the lemon cake. 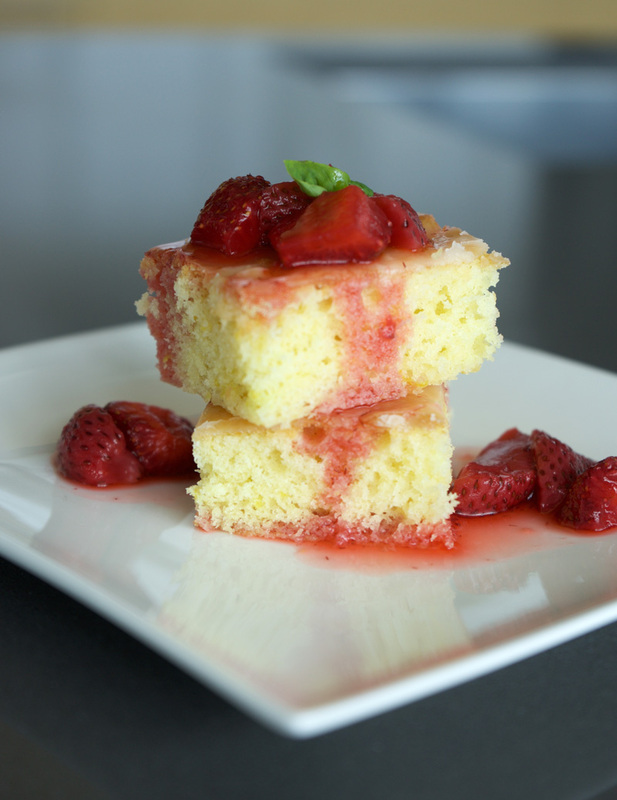 For a special presentation, stack lemon squares and top with Roasted Strawberry Basil Compote. 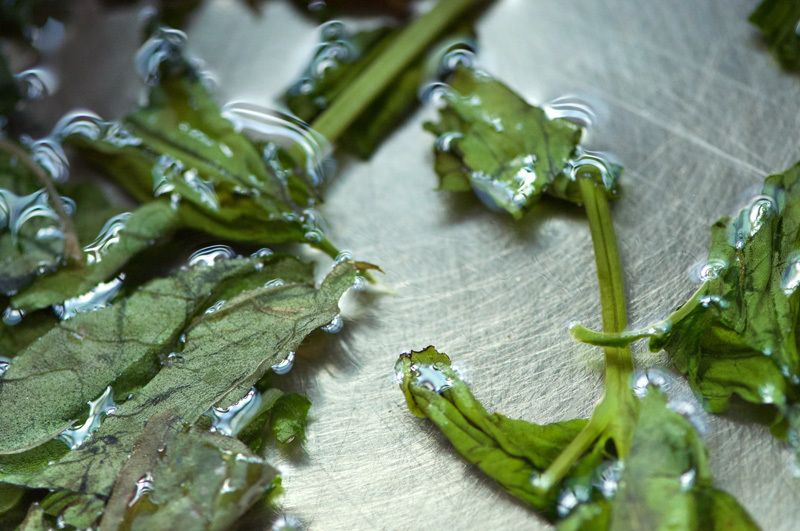 To make compote, combine sugar, water and basil stems into a small pan. Heat on high and bring to boil. 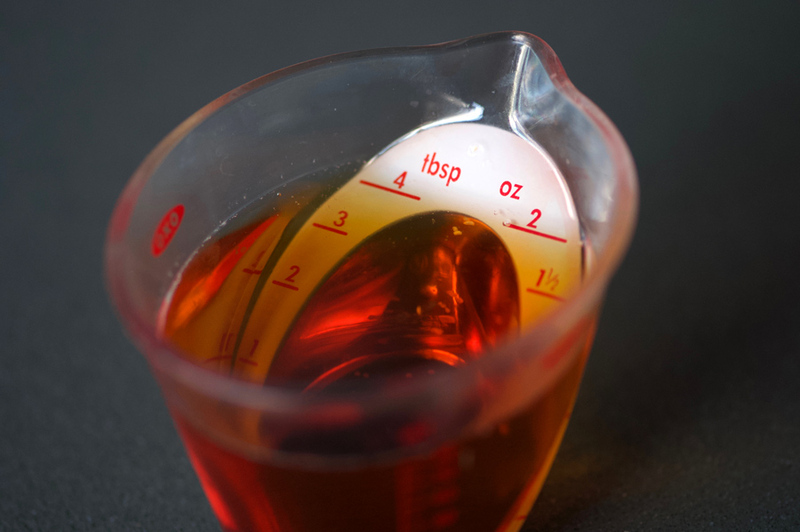 Stir for one minute until sugar has dissolved, and remove from heat. Add basil leaves, stir to cover with the sugar syrup, cover and set aside to cool. Hull and slice strawberries into an 8x8 glass baking dish. 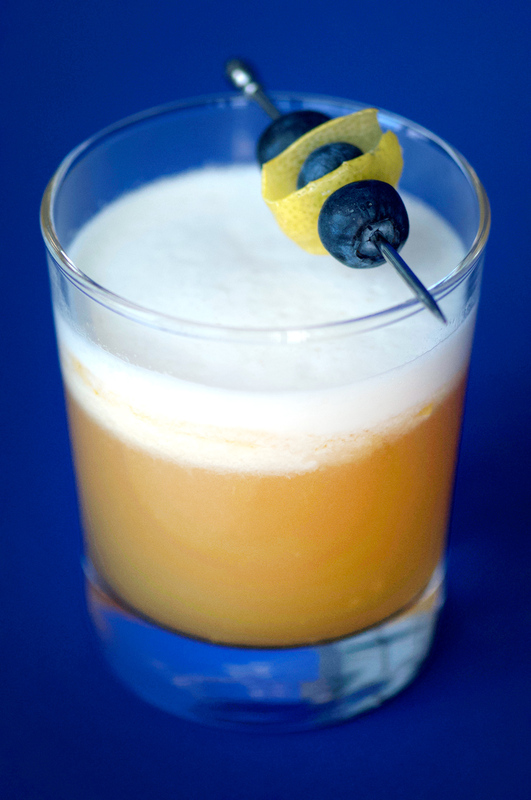 Once basil syrup has cooled, discard basil leaves and stems, and pour syrup over the strawberries. 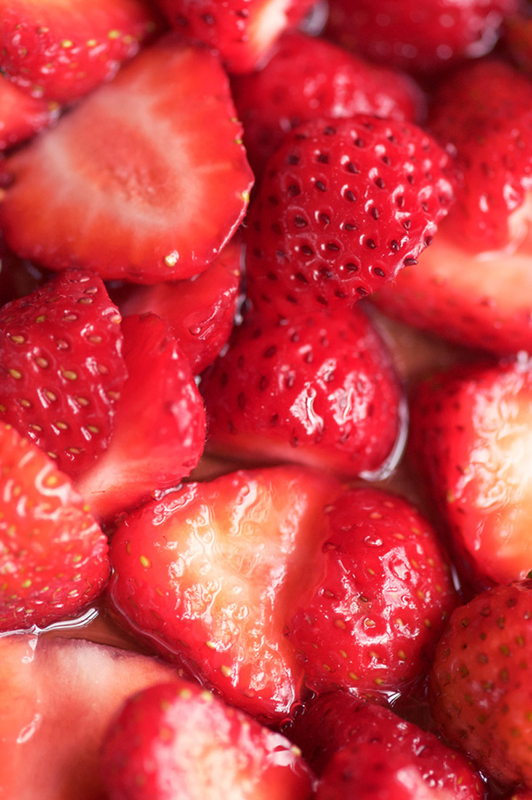 Place into a preheated 350° oven for 50 minutes, shaking the pan once or twice to prevent strawberries from drying out. 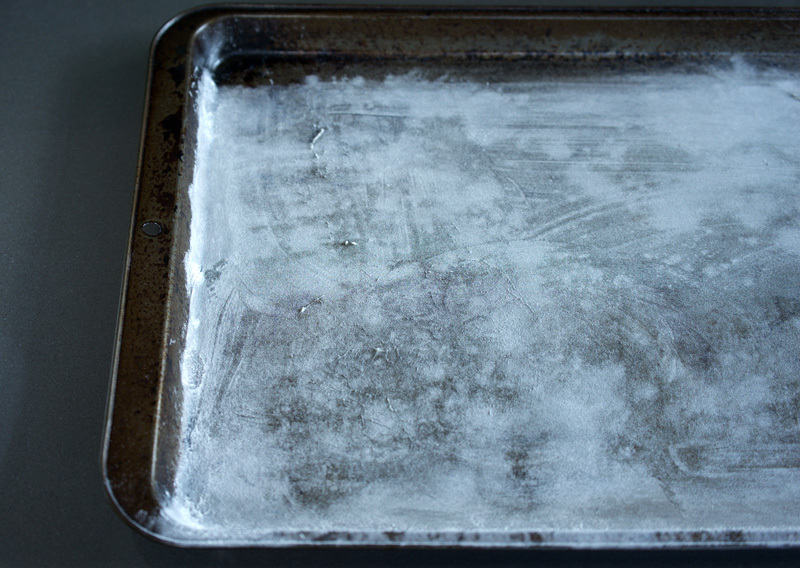 Remove compote from oven and allow to cool completely. Top Lemon Squares with compote immediately before serving. Cake freezes well for snacking on later.